I’m taking a break from the quilting machine to soak up some sun in Vieques, PR. The sunsets here are *almost* as nice as seen on the Gloucester Quilter webcam. 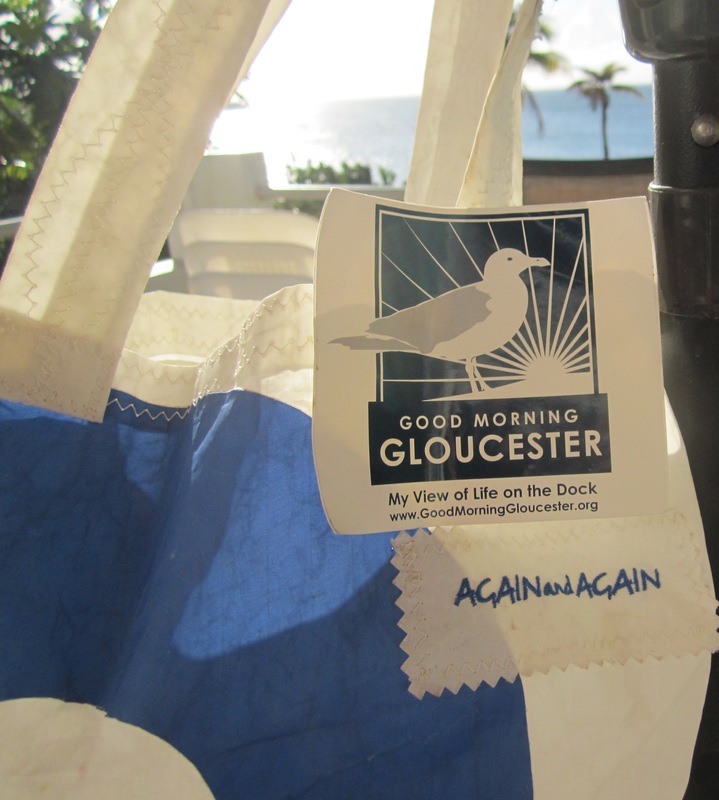 And I’ve brought along my Again & Again beach bag ~ made in Gloucester, of course, by my friend, Frieda. I love traveling to new places because they give me so many ideas for new quilts.